It took me FOUR YEARS to get these Trashketball directions down to a science. My kids can just read them and we are ready to go. Plus, I have never seen my afternoon class of freshmen boys work so hard, on FRIDAY. It almost made me cry from joy. I seriously wish I could play Trashketball everyday. Every. Day. I have included my Trashketball Powerpoint instructions for you to show your students. It is crucial that they all pick a letter, M A T H or O, and that you randomly call them up by this letter to show you their answer and thus get to shoot. This way ALL students are actively working out the problem on their own paper. Then they work as a team to make sure everyone understands and gets the same answer. It is amazing. I use popsicle sticks to call out the letter. They get one point for the correct answer. 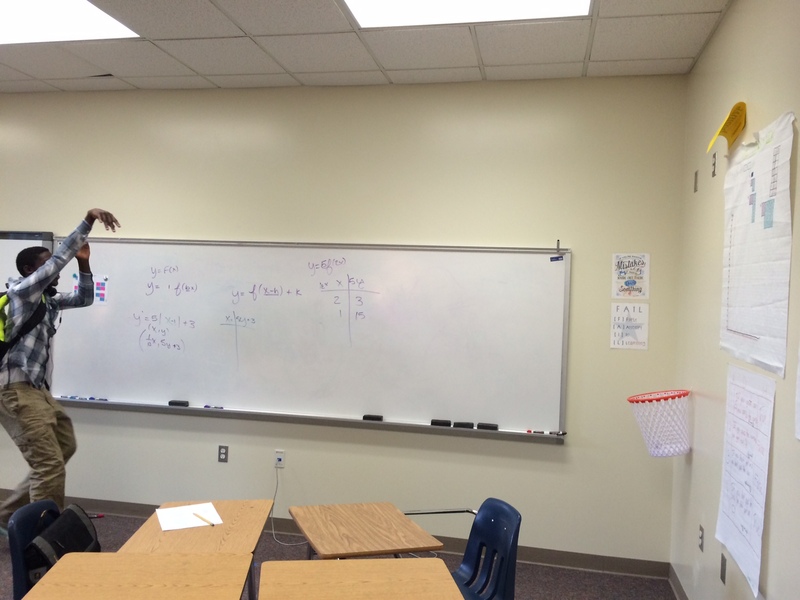 If they get the correct answer, they get to shoot from the 2-pt or 3-pt line. 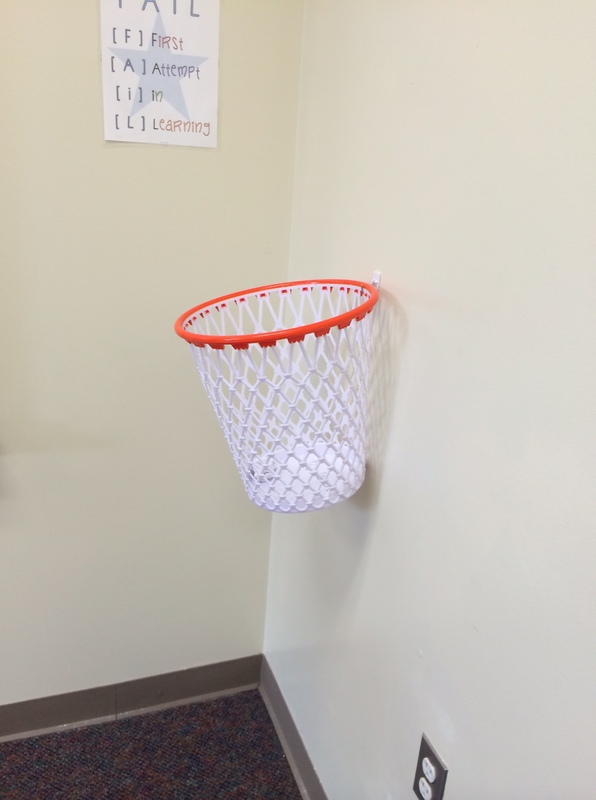 Also, I hung it from the wall with a Command hook, but the students want it higher. lol! Fun stuff: I play “Are You Ready To Rumble” from Jock Jams while they are reading the directions. I have this COOL trashket I found a couple of years ago. I have a 2-pt line and a 3-pt line. It is a blast! But best of all, they are so focused and work so hard! Games for the win again! I made dry-erase index card necklaces to write their letter on for middle schoolers, but my high school students wanted to wear them as well. I really love freshmen. I bought the Trashketball online at Bed, Bath, and Beyond for only $10!! This entry was posted in Activities, Games and tagged review games by I Speak Math. Bookmark the permalink. I am going to play this on Tuesday! Does everyone who gets called up get an equal chance of trying? Meaning, if I pick M, does every team that has an M student with the answer get a point, and then they all get to shoot? Yes! IF they get the correct answer, all of the teams get one point, then M’s get to shoot for extra points. I love your custom touches! Why do you need to have 5 letters? Do you have groups of 5? I have 9 tables of four students each, so M-A-T-H would work for me. Yes. I like larger groups during Trashketball bc the shooting takes less time. Groups of four would be great and I would just use MATH. Thanks for sharing! 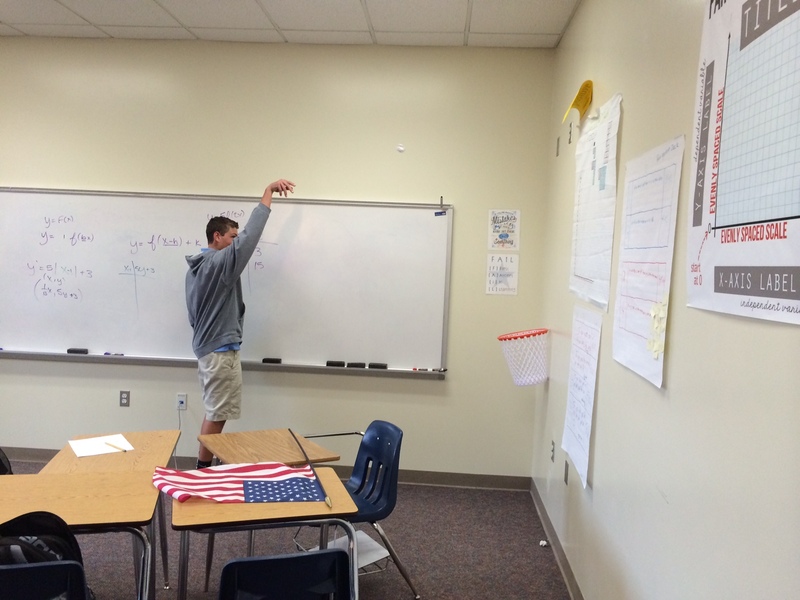 I play Trashketball with my students too. I make each student take turns being the spokesperson, which works, but I like your method better. Thanks! I use to get a “group” answer, but then some students didn’t write anything down (and thus have zero review to study). Love the idea of randomly calling on students using the MATHO technique. Thanks for sharing the details of your game. Thanks! They love to shoot so I usually don’t put the sticks back in until everyone is called. Or, I do put all the sticks in every time, but I make sure to call everyone in the first round. I need to mark the sticks so I can cheat. lol! Great post! Is there any way to prevent students from just copying a group member who has the correct work and then bringing it up if there popsicle is called? Eagle eyes. 🙂 Also, if I see a group doing this, I will walk over and quietly tell them that every person must be doing the work or they don’t get the point. They can explain it to someone who needs help, but no copying. Thank you for this ideas/rules to the game. I first heard about this game when I went to do a teacher visitation in an English class. The teacher was playing this game to review English vocab words. I saw how engaged the students were and how fun the game could be while reviewing at the same time. I knew I would have to try this in my math classes. This was great! 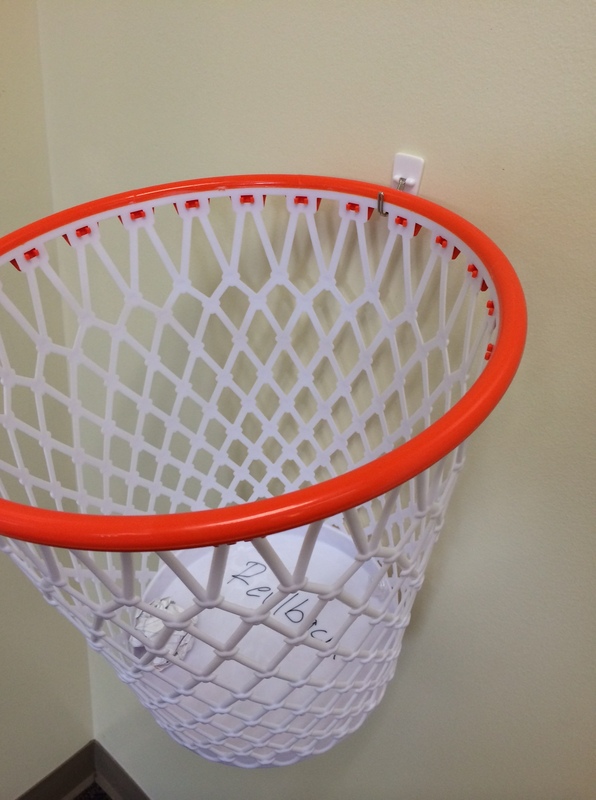 My higher class got really strategic on shooting the baskets since they were getting them all right. My lower class was really working together to get correct answers. Its great for differentiating for students. Regular trashketball seemed to hectic for me. What distance did you use for the 2- and 3-point shots? Thanks. No, don’t worry about it — I get it. Thanks!